Maiden's Tower in Bosphorus. Full HD, 1080p, 1920x1080. hd00:30Maidens Tower (KIZ Kulesi), famous symbol of Istanbul, from the east in sunset. In the distance are such landmarks as Blue Mosque, Hagia Sophia and Topkapi Palace. hd00:28ISTANBUL, TURKEY, MARCH 21 2016: The Maiden's Tower (Kiz Kulesi) in Istanbul. 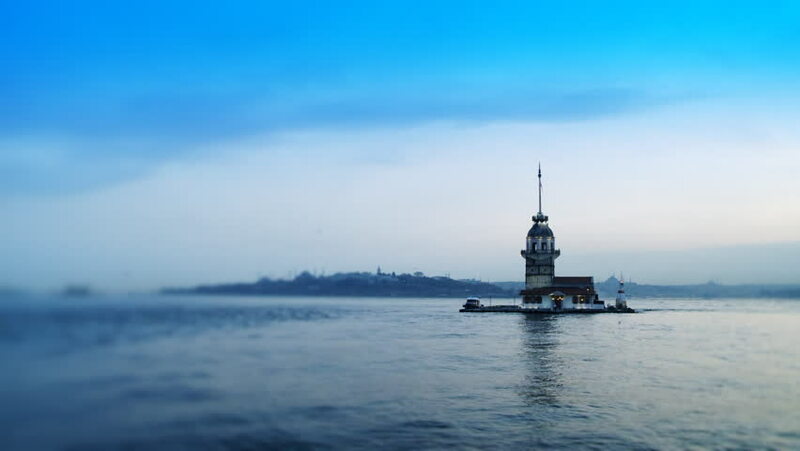 The Maiden's Tower is a tower lying on a small islet located at the southern entrance of the Bosphorus strait.